Here in Colorado, many drivers have experienced the surprise of a DUI checkpoint. Citizens who were driving to Centerra to watch a movie are now diverted into a smaller road or parking lot where a cavalcade of law enforcement and traffic cones are waiting. For those who have not undergone this experience, we’ll cover the general concept of what you can expect when going through a checkpoint. Comprised of Greeley’s premier DUI lawyers, the Peek Goldstone, LLC is your source for the comprehensive legal representation. We have dedicated lawyers for the job, and they’ll work hard to minimize the impact that an impending DUI charge can have on your life! Generally, these checkpoints consist of roadblocks constructed by law enforcement personnel with the aim of checking vehicles for impaired drivers. Here in Colorado, we typically see DUI checkpoints during holidays, extended weekends, or any time that large groups of people might be consuming alcohol in excess. Whereas some states have declared these roadblocks to be unconstitutional, the Federal Government has set precedent for allowing such operations. 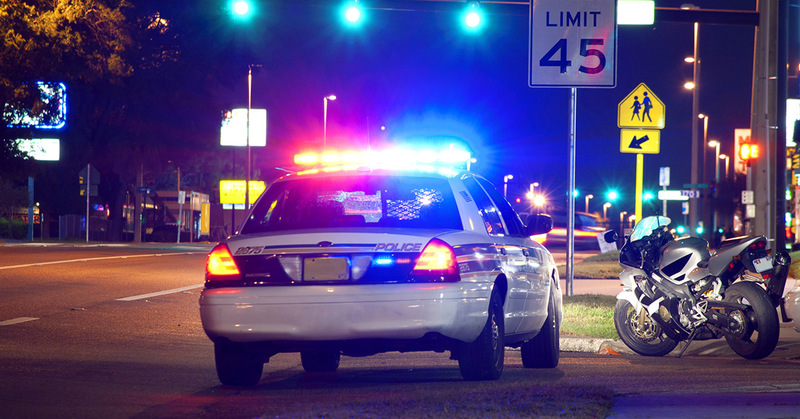 While we as American citizens are protected from unnecessary searches and seizures, the courts have ruled that the dangers posed by drunk driving outweigh the inconveniences presented by a DUI checkpoint. Any of these roadblocks that you come across have to operate within a strict range of rules and regulations in order to remain legal. If you suspect that you were arrested under false suspicions, our local lawyers can help! Generally, a DUI checkpoint will be easy to spot due to the heavy presence of law enforcement. For example, Highway 34 was closed in the recent past to subvert traffic into a parking lot, where officers could interview people and send them on their way. One of the first interactions with police personnel consists of an officer telling you to roll down your window. This sequence helps officers to smell for the presence of any alcohol. At this point, they’ll then ask for your license and registration. It’s crucial to note that beyond information gathering for law enforcement purposes, you are not obligated to respond to police questions. Unless reasonable suspicion is evidenced during this interaction, cops cannot detain you. Police officers will be probing to see if there are any signs of intoxication, like mumbling and slurring. Once the driver’s license is returned, you can ask the officer if you are free to go. Keep in mind, though, that being rude and uncooperative to law enforcement rarely helps the situation! If there is any suspicion of inebriation, the officer may then direct you a different spot where further tests can be performed. To start, officers often ask for a sobriety test to check the driver’s ability to comprehend and execute orders. If more information is needed, you may be subject to a breathalyzer test or even blood tests. If an officer has determined that you are indeed driving under the influence, they will promptly place you under arrest and read you your Miranda rights. Once this occurs, it’s important to contact the best lawyers you can find and avoid releasing any information that can be used against you in court. Using a top-notch lawyer can help you to reduce the punishments or even avoid conviction. Although often perceived as intrusive and even unconstitutional, DUI checkpoints are in place to prevent drunk driving accidents and to protect the public at large. Because of this goal, Colorado is one state that allows such checkpoints. Our advice for avoiding this ordeal is, as always, to not drink and drive! However, we understand that life happens. We also know that law enforcement is not immune to mistakes. If you’re facing DUI charges in Colorado, don’t hesitate to contact Peek Goldstone, LLC today!